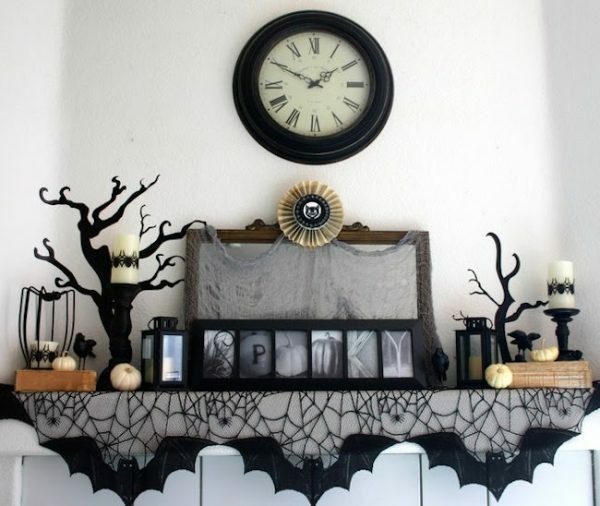 Although not exactly a real holiday, Halloween definitely gives everyone an excellent excuse to get creative with the home decor! 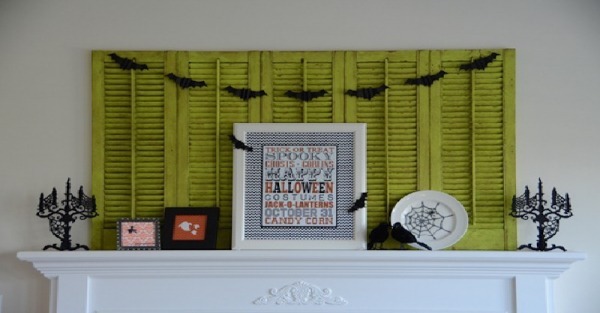 Whether with budget-friendly and easy DIY pieces, with traditional black and white items, or with some trendy elements, it’s time to dress up your living space for Halloween. 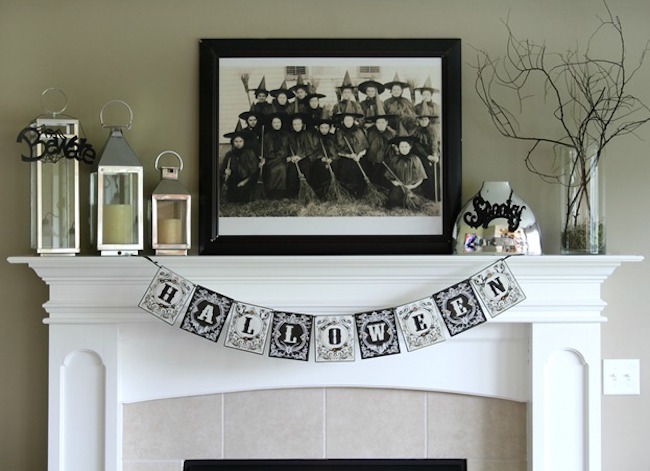 Front doors and porches or interiors, there are plenty of areas to use as your Halloween-themed canvas. 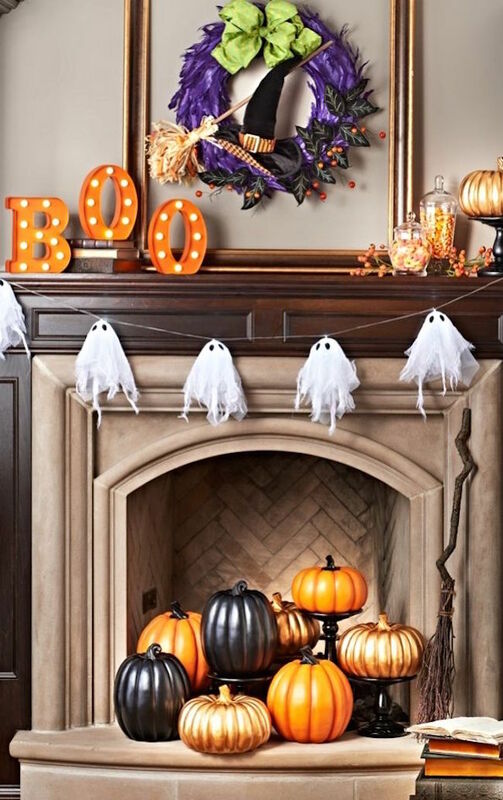 Usually, the most impressive décor is on and around the fireplace mantel. 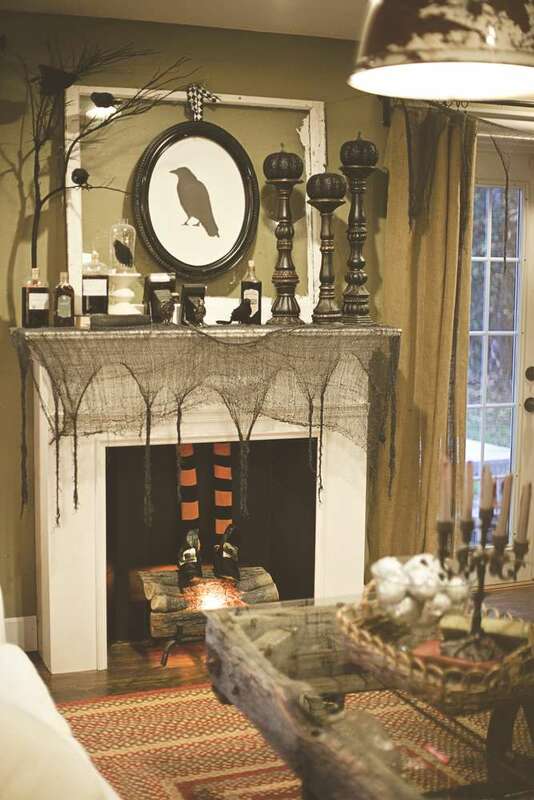 For extra inspiration, here are some excellent ideas how to decorate your mantel. 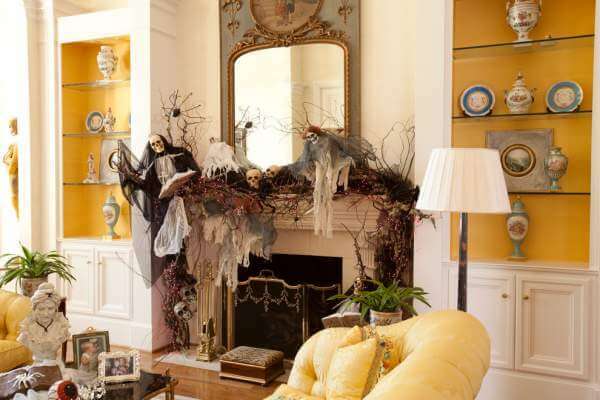 When it comes to Halloween, some tend to overdo the décor. However, you can create a great look on your mantel without going crazy. You don’t necessarily have to stick to the traditional orange-and-black décor, there is an array of different ways to create an eerie yet elegant look using black and white, especially if your fireplace is black or white. Your TV is placed above the fireplace mantel? 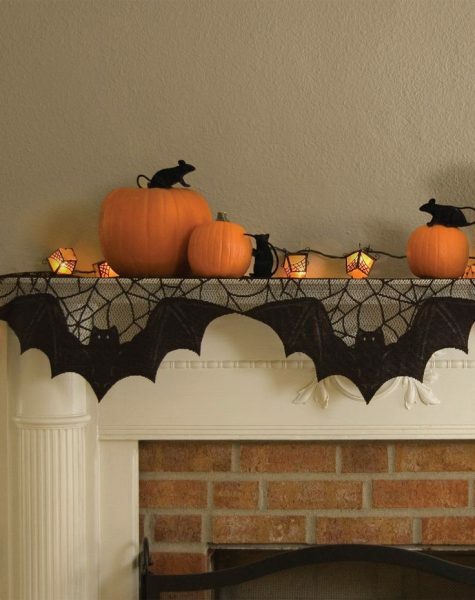 No problem, work around it with your Halloween decor. Position your taller Halloween decorations, such as big candlesticks, on each side of the mantel, with shorter and smaller ones toward the middle to avoid blocking the TV screen. Your Halloween décor will undoubtedly look gorgeous on the fireplace mantel. 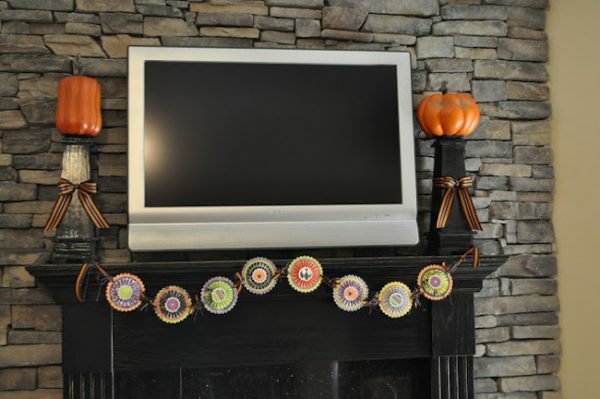 However, for a bigger impact, you can always extend the décor up to the wall space, lamps, and even the space above.